Genes — the basic units of heredity — provide the “instructions” to our cells that determine the way we look (e.g., blue eyes, brown hair), the way our body works and our health. Genes control much of what happens in our bodies. A gene with an abnormality, or mutation, cannot perform its normal function. 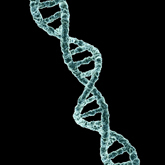 Gene mutations can be either inherited from a parent or acquired during a person’s life. Certain gene mutations can result in disease or an increased risk for disease. Most diseases are related in some way to our genes. Some genes are involved in common illnesses, while others cause rare conditions. Mutations in genes can lead to an inherited disease or make a person more prone to develop a disease. Each day, scientific knowledge advances concerning the genetic basis of various diseases. More and more, researchers are able to identify the mutations that lead to specific diseases. This, in turn, has led to an increase in the number of available genetic tests. As an academic medical center, Froedtert & the Medical College health network has the expertise to offer comprehensive testing, counseling and referrals to appropriate specialists and services. In certain cases, interested people may be able to participate in various genetic research trials throughout the country.